Would you like to give away an unforgettable adventure or even feel the adrenaline in your veins? 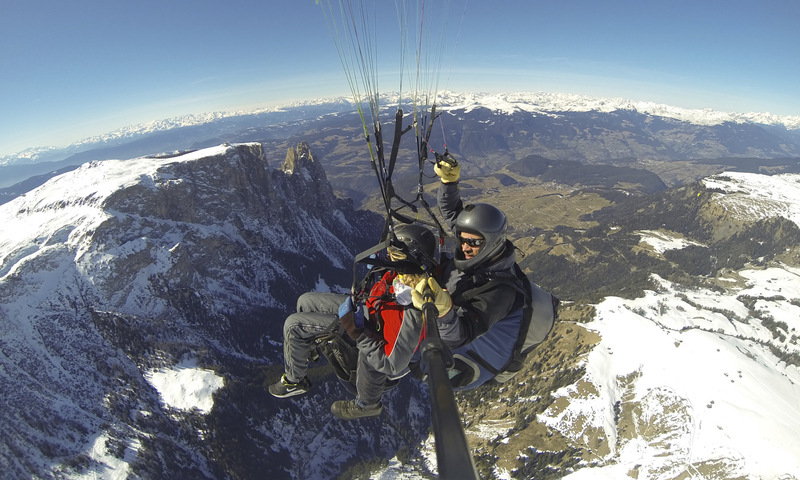 A tandem flight in South Tyrol is the perfect choice for you! 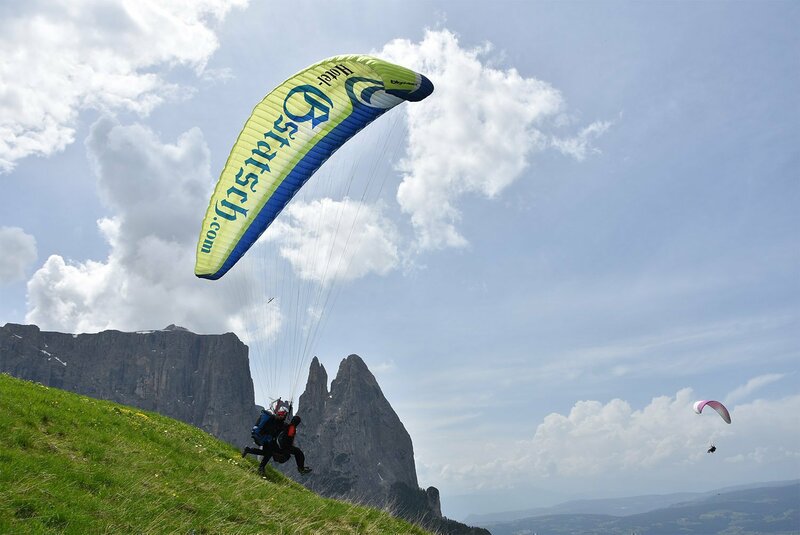 The Alpe di Siusi with its starting point Spitzbühl is perfect for paragliding: explore the unique Dolomites from a bird's eye view and look down on the world-famous Mount Sciliar, the Corno del Renon and the Catinaccio. All this is easily possible on the Alpe di Siusi near Castelrotto, as the chairlift takes you directly to the starting point. 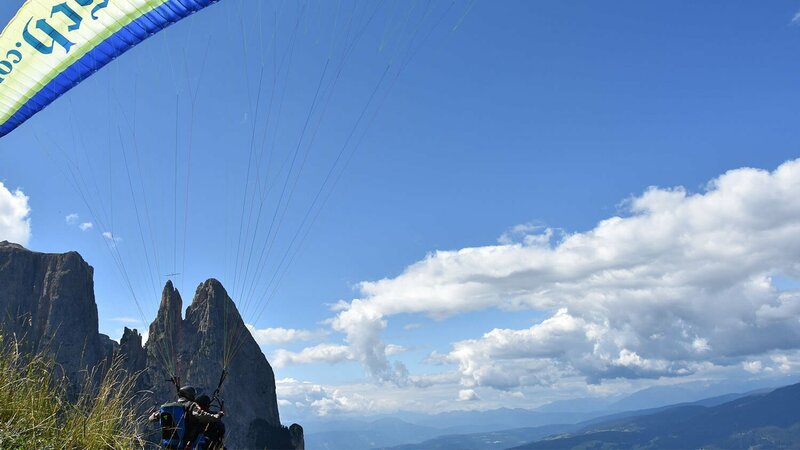 You will be enchanted by the sight of rocky mountain rifts and green meadows and enjoy your paragliding flight – accompanied by our friendly and experienced pilot – admiring the phenomenal view of the Santner Peak, Mount Sciliar, Renon, and the wide valleys of South Tyrol. 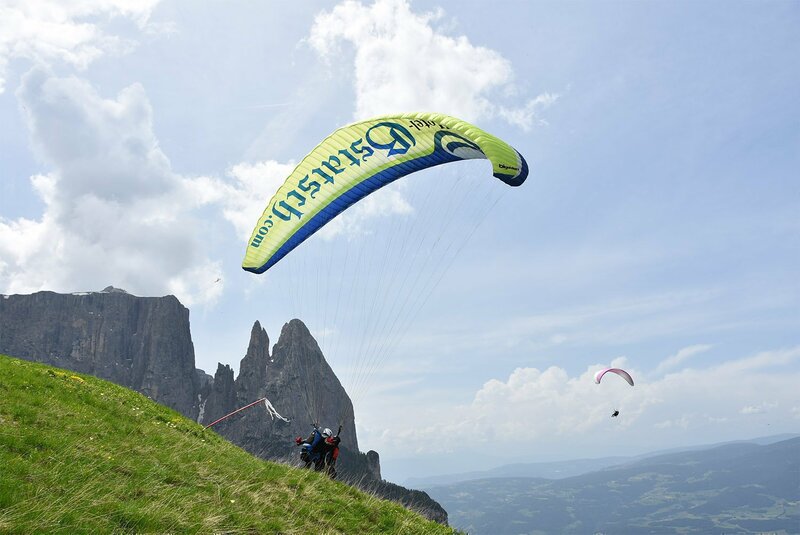 After your tandem flight over the Dolomites, we will return to the starting point, from where your friends and acquaintances can follow the paragliders in one of the most beautiful flying areas in the entire alpine region. Flying like a bird across the mountains, that’s a dream for many of us. With us – here, on the Alpe di Siusi in South Tyrol – you may fulfil this dream throughout the year. 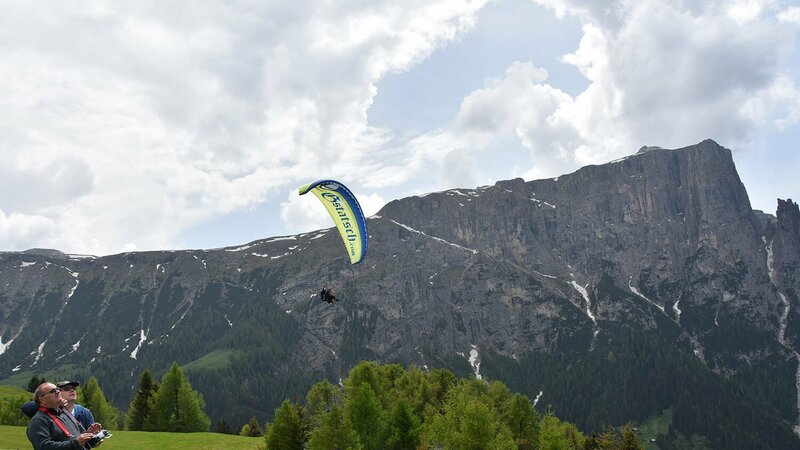 While in the summer we start with the paraglider at the Spitzbühl, in the winter our paragliding flights take place from Mount Bullaccia, an elevation on the north-western border of the Alpe di Siusi in the South Tyrolean Dolomites. 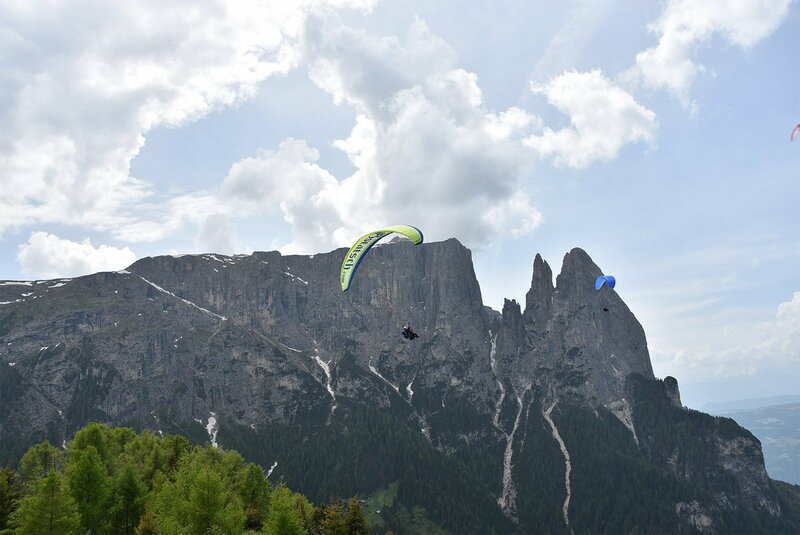 The mount offers a magnificent view over the UNESCO World Natural Heritage Dolomites – already before the tandem flight. 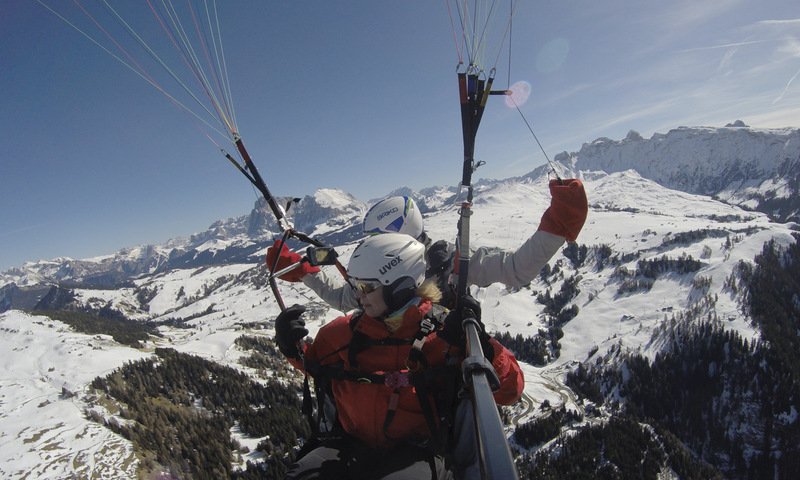 This unique experience will remain in your memory for a long time – and on request you may also receive photos of your unforgettable paragliding flight. Just ask us! Who has already been flying with us? 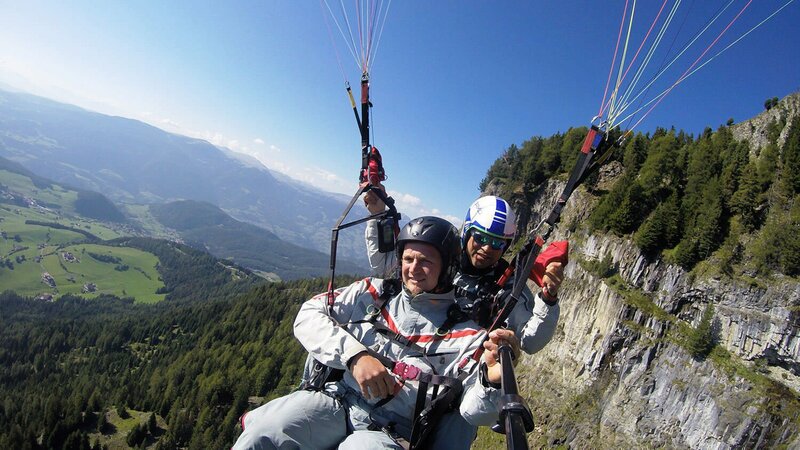 Paragliding has been an integral part of my life since 1993. 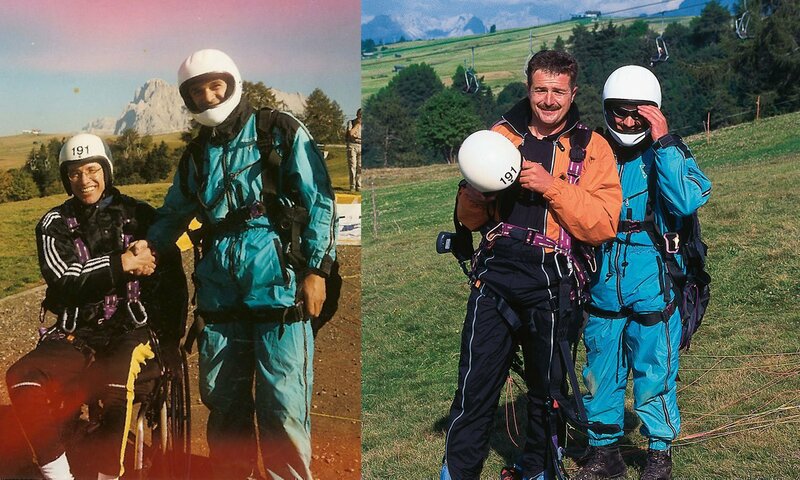 Since 1997, I share this passion during tandem flights with many other people. My most famous passengers include Norbert Rier, Valentin Silbernagel (from the folk music group “Kasthelrutter Spatzen”) and his children, Barbara Zanetti and Paul Oberhofer, a well-known wheelchair athlete from South Tyrol. They’ve all put their trust in me and every flight is always individually tailored to the specific passenger. I will be happy to organize flights with several pilots for small and larger groups. 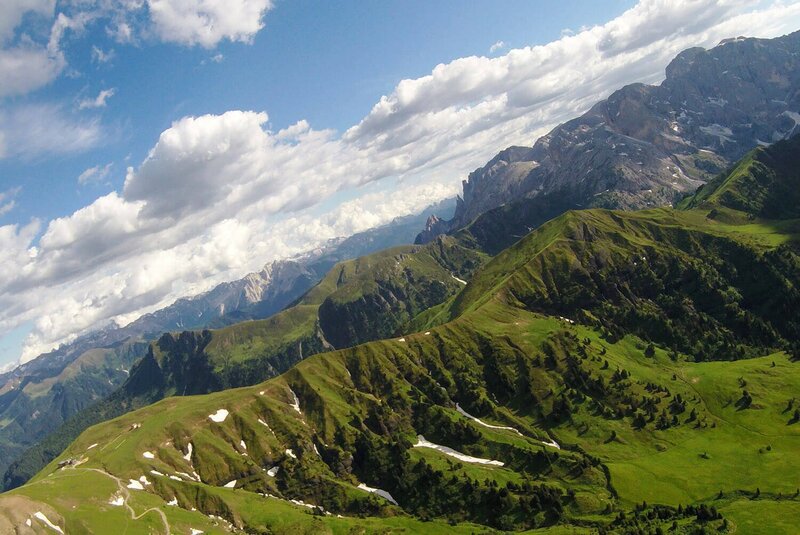 Your stomach is already tingling, as you sit in the Alpe di Siusi chairlift that takes you to the starting point? Meanwhile, our experienced pilot prepares the tandem glider for your gliding flight. 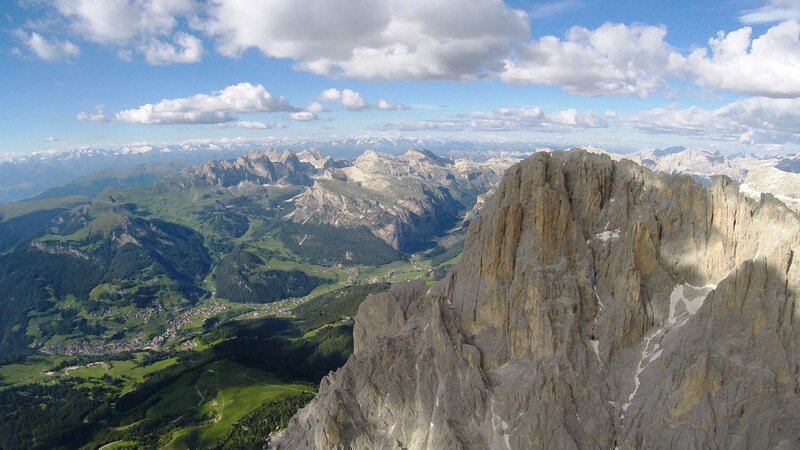 Equipped with sturdy shoes (hiking boots), sunglasses and a comfortable, windproof jacket, you will arrive on the peak of the Dolomites. Before the start, there is a briefing by the pilot. Of course, we will provide you with overalls and helmets. The adrenaline is rising, you are standing in front, the pilot is behind you and then you hear it: Three - two - one and the pilot gives the starting command. 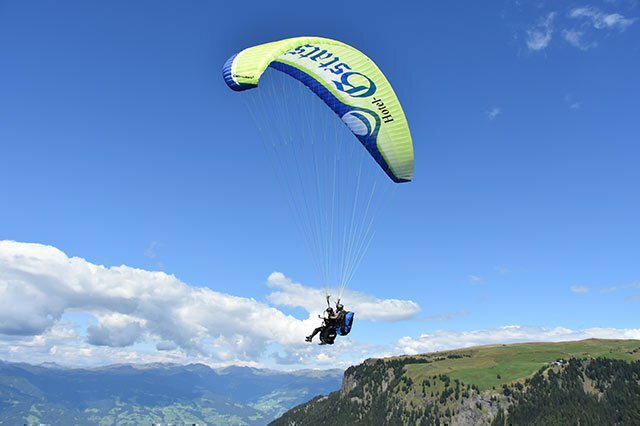 You bend forward, walk a few brisk steps, the paraglider opens, and you feel how it takes you gently upwards. 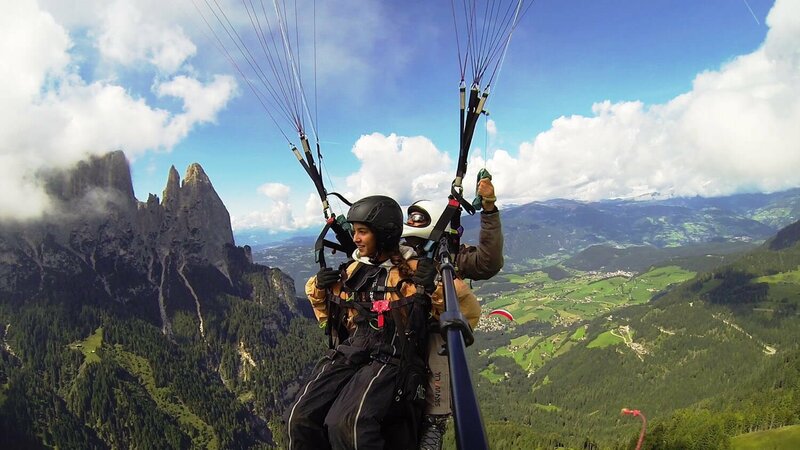 This is how an unforgettable flight experience across the Alpe di Siusi starts! Upwinds take you over the mountain peaks, you can feel the sunshine in your face while the pilot is always there to answer your questions. 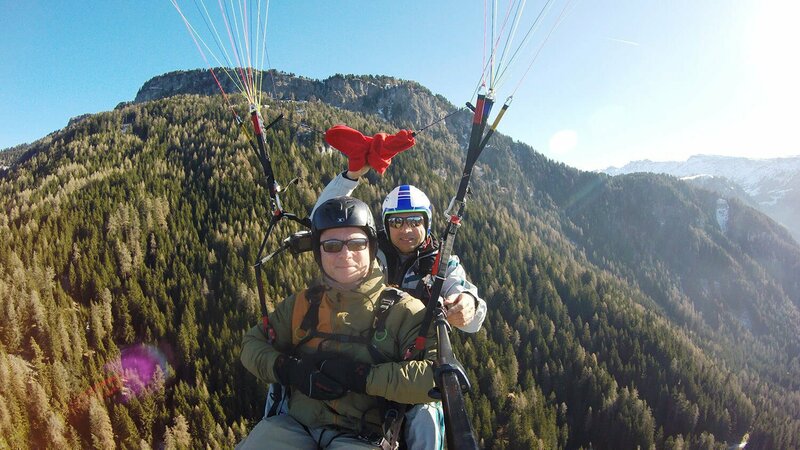 Thus, you may leisurely enjoy your tandem flight in Castelrotto / South Tyrol! Even the most exciting adventure will eventually come to an end and you will hear a request from the tandem pilot to slide forward in your seat and get yourself ready. Before the landing, the paraglider will slightly brake. Then it is only a few more meters, and as soon as you feel the green alpine meadow of Alpe di Siusi under your feet, you start running. A few meters only, then the paraglider sinks behind you to the ground: This is what a successful landing looks like. 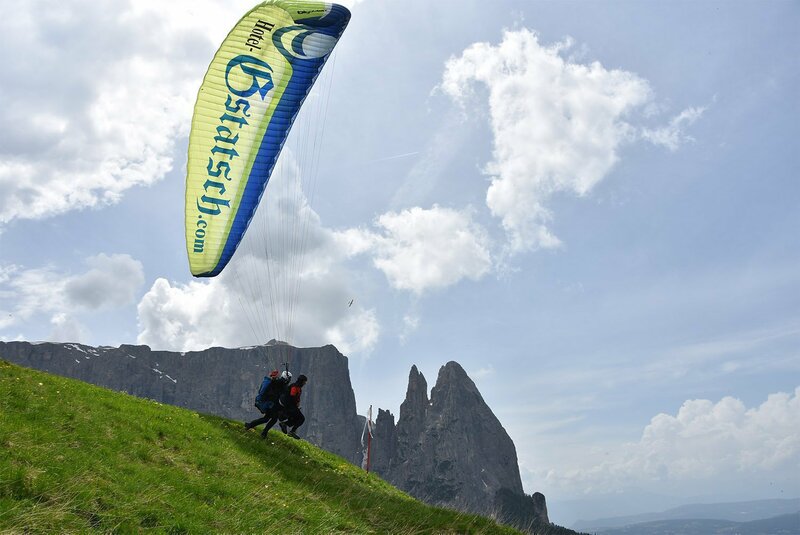 With good thermals, you will be landing at the starting place on the Alpe di Siusi – Otherwise in S. Valentino above Siusi. Below you will find our offer with the corresponding rates. All prices include VAT. 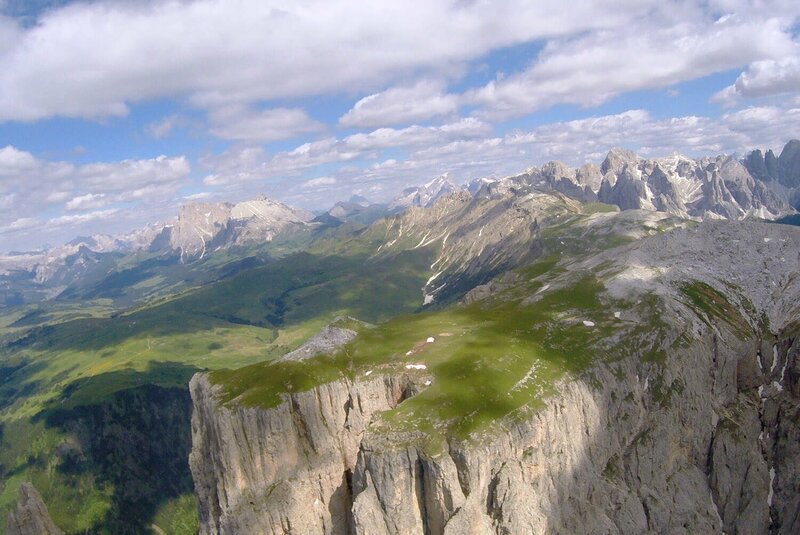 The ride with the Alpe di Siusi Cable Car is not included in the price. 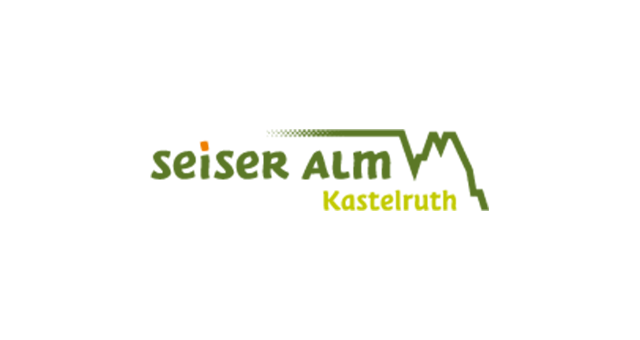 We are happy to adapt and change the plan on site – or even in the air – according to your personal needs and wishes. 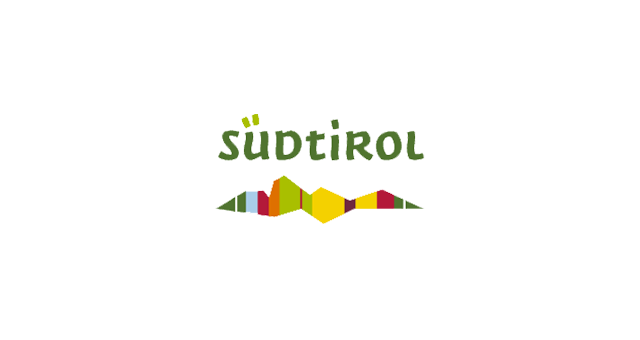 Due to increased costs, from December to April we must raise the prices by 20 €. 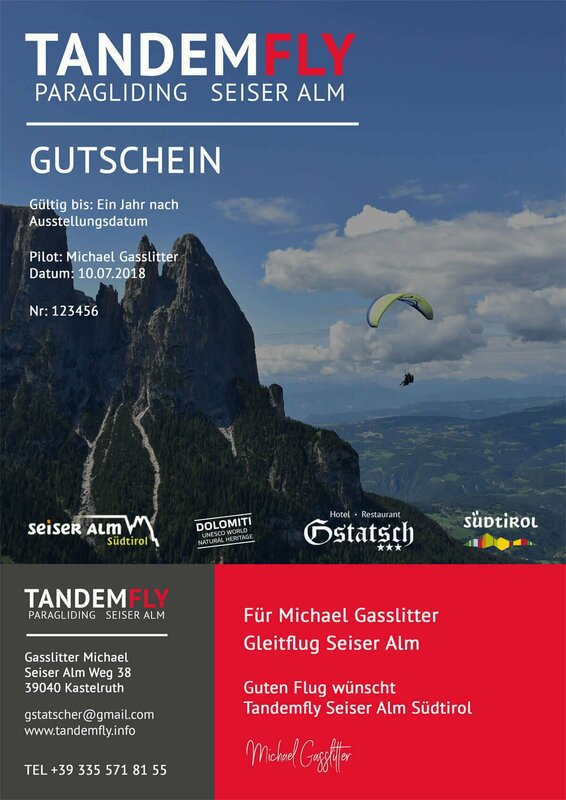 Start Spitzbühl: We fly over Gstatsch S. Valentino and land in S. Valentino, near Castelrotto. Flight time about 15 minutes. 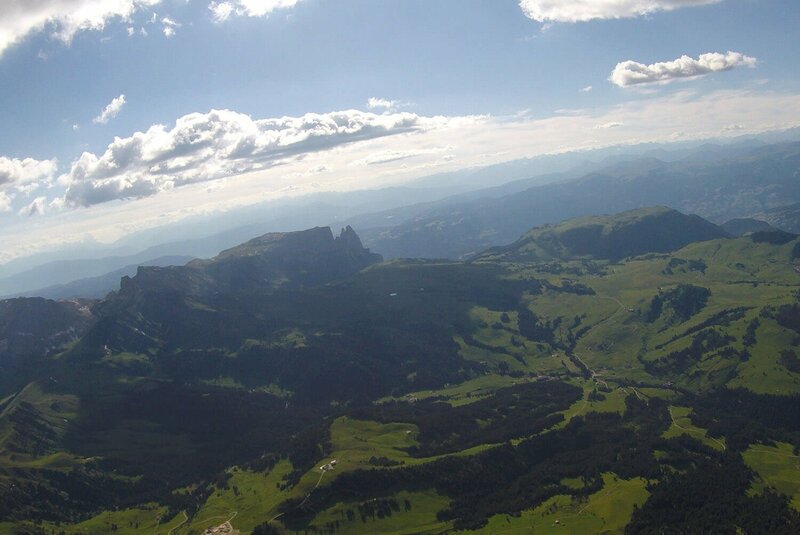 A tandem gliding flight on the Alpe di Siusi is an unforgettable adventure for you or a loved one. 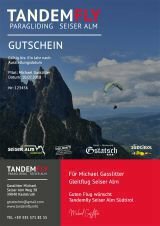 When gliding, we float weightlessly for about 15 minutes from Spitzbühl via Gstatsch / S. Valentino and land in S. Valentino close to Castelrotto. Generally, in the morning, only flights into the valley are possible. Around noon, strong thermals and valley winds offer special fun. 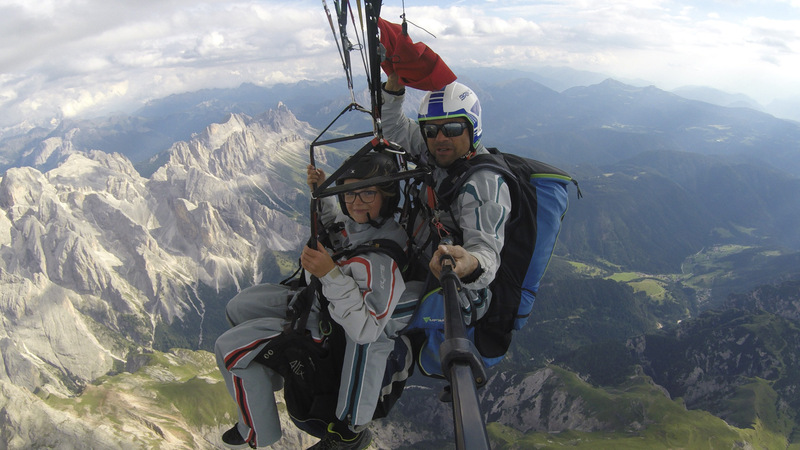 Let yourself be carried to great heights on this gliding flight and enjoy a particularly long flight admiring the unique panorama of the Dolomites. 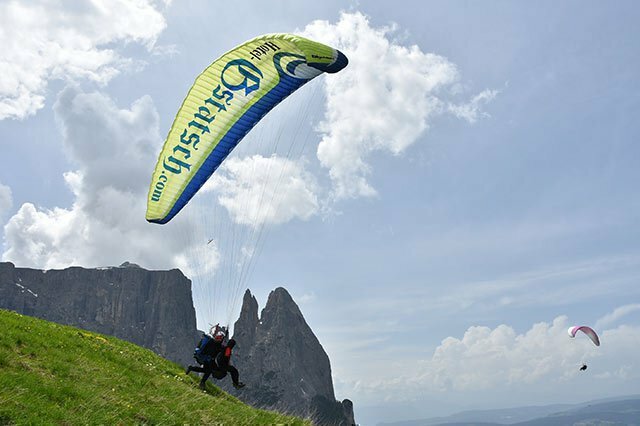 Our thermal flight with the paraglider across the Alpe di Siusi takes place while others sit at the lunch table in a rustic alpine hut. Because at that time special winds carry the pilot and the passenger to very high altitudes, which allows for a special view and a long flight. 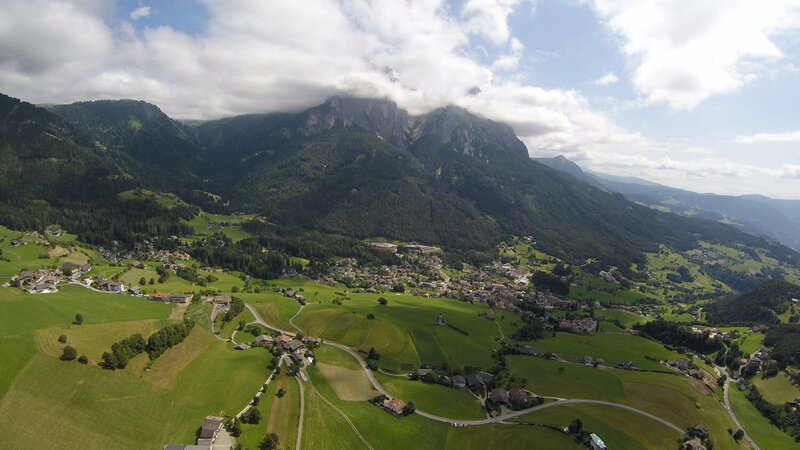 We start at Spitzbühl, look for the updrafts and let them take us into the skies until we land again on the Alpe di Siusi. 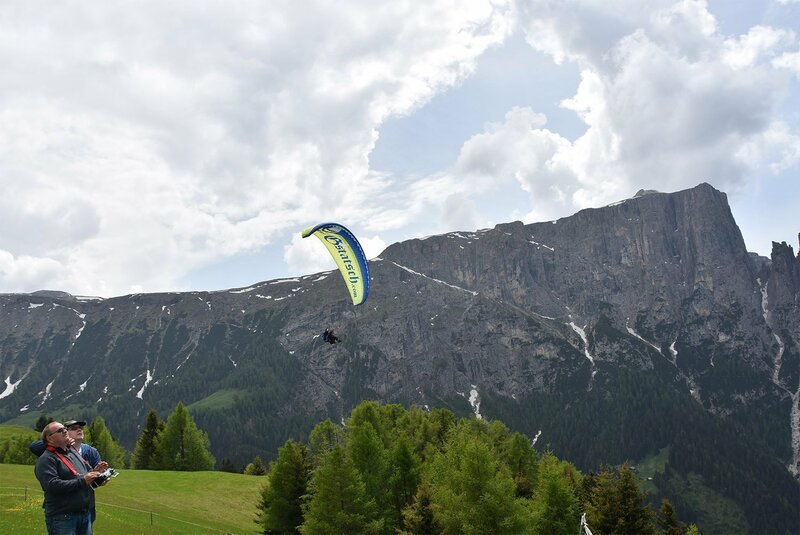 The Bullaccia Flight takes us from the starting point at Spitzbühl to base altitude, from where we fly to the summit plateau on the Alpe di Siusi, Mount Bullaccia. 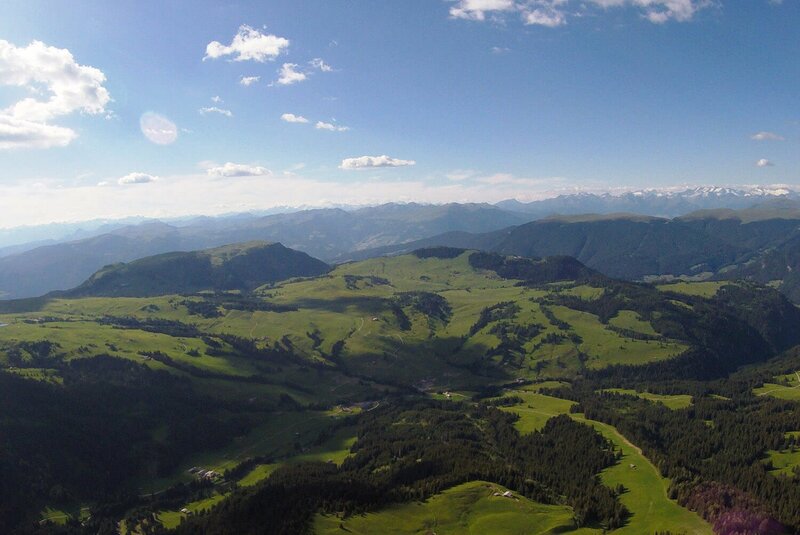 Once there, we go back into the thermal updrafts, so that we can fly back to the Spitzbühl and - in good conditions - land on the Alpe di Siusi. Expect to fly about 40 minutes on this flight. Mount Sciliar with its characteristic shape is one of the symbols of South Tyrol. On the Sciliar Flight you may fly over the entire Sciliar Massif and in about 50 minutes experience the two front mountain peaks - the Santner Peak and the Euringer Peak - from a completely different perspective. 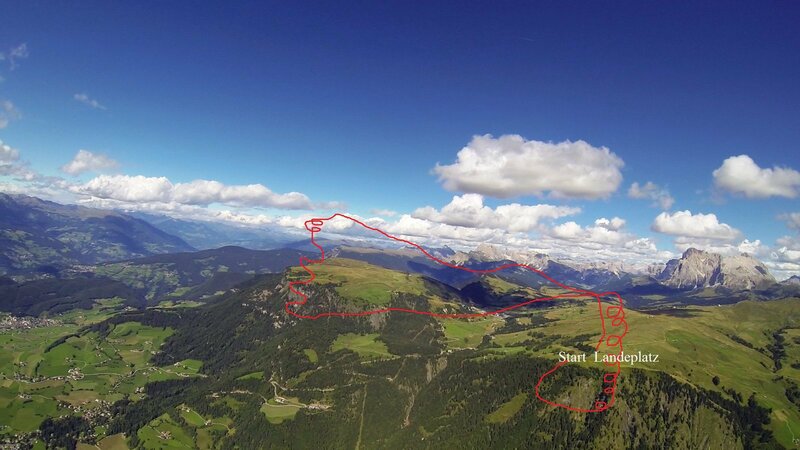 We start at Spitzbühl, look for the thermals and then fly to the Sciliar Massif. 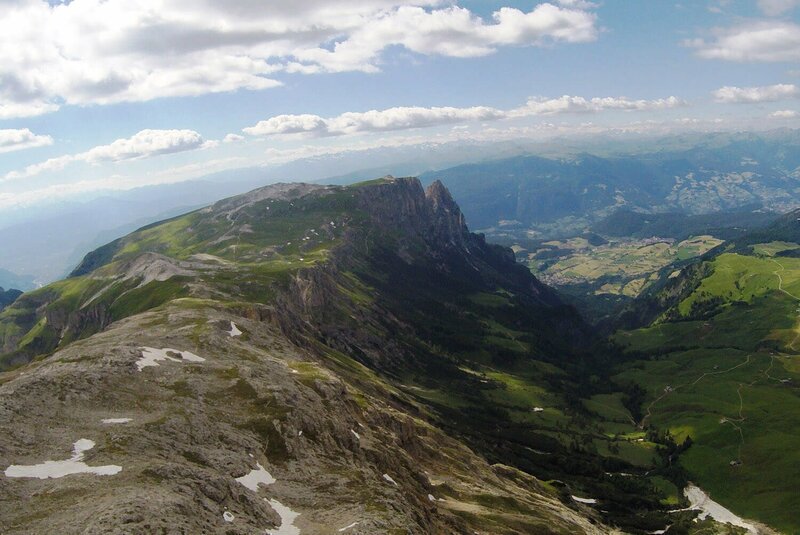 In good conditions we land again on the Alpe di Siusi. 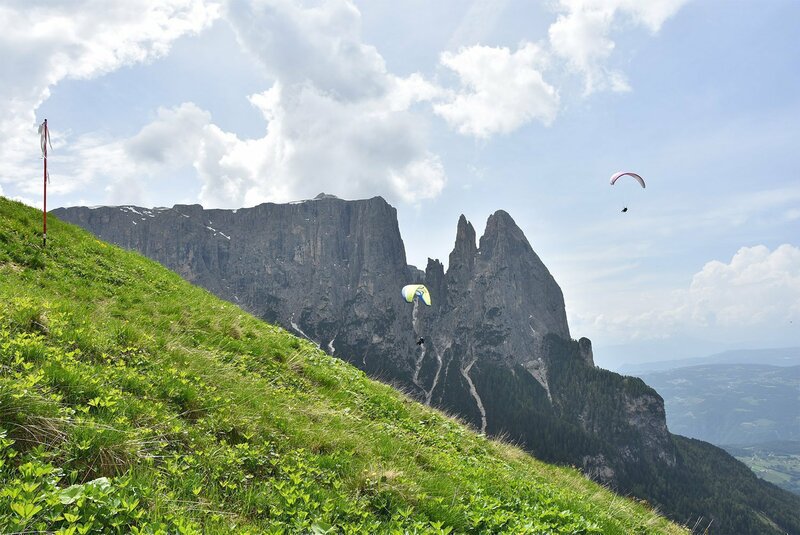 If you wish to glide across green alpine meadows, rustic alpine huts and wide valleys, you should opt for one of our thermal or cross-country flights on the Alpe di Siusi. 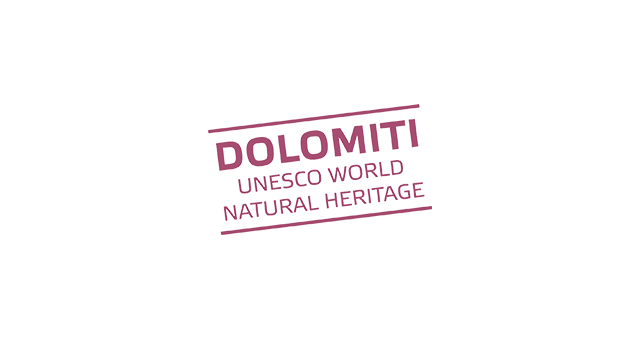 Here, you may enjoy the unique view of the Dolomites and the nature reserve Sciliar-Catinaccio. Our gift vouchers are the ideal present, for example at Christmas, as our flights can take place in summer and winter starting from around noon (depending on thermal conditions). Possible during (almost) every flight for 10 € extra fee. 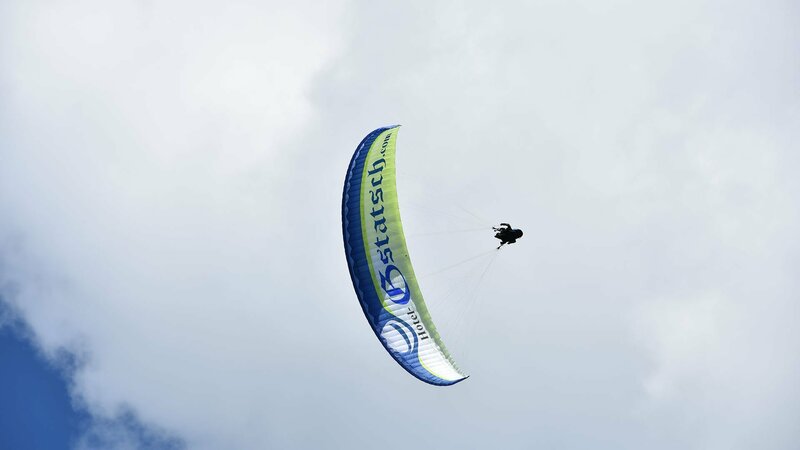 The Acro Flight is a special paragliding challenge. However, our trained pilot is an expert in paragliding acrobatics. Very brave adventurers will get their money's worth, when the tandem pilot flies inverted figures like the wingover or the spiral dive. Acro Flight specials are available for a surcharge of € 10.00 on almost every flight.  Contact us, so we can discuss your personal wishes! Would you like to re-live your extraordinary experience – from the take-off to the safe landing? Upon request, you may receive photos and a video on a SD card for the price of 20,00 €. People like to give presents to loved ones, however, it is not always easy to find the perfect gift. 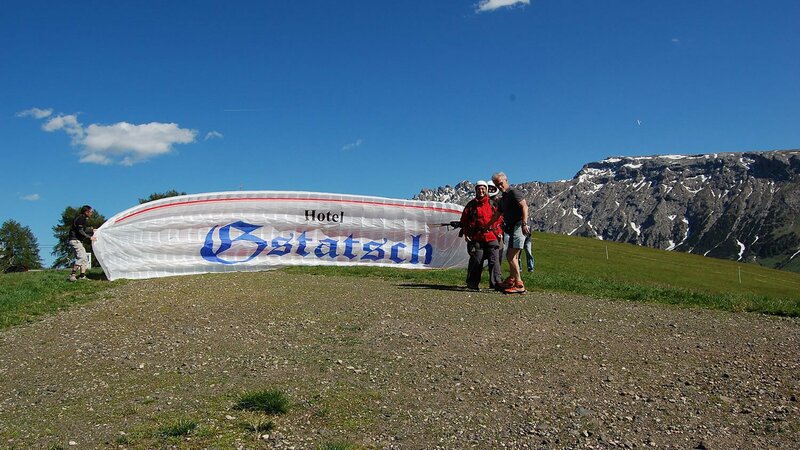 Have you ever thought of a gift voucher for paragliding? Flying like an airplane, floating among the clouds, is the dream of many people; and with us, you may make it come true. For the voucher we only need the name of the recipient and the desired flight. We also need your full name, address and phone number.